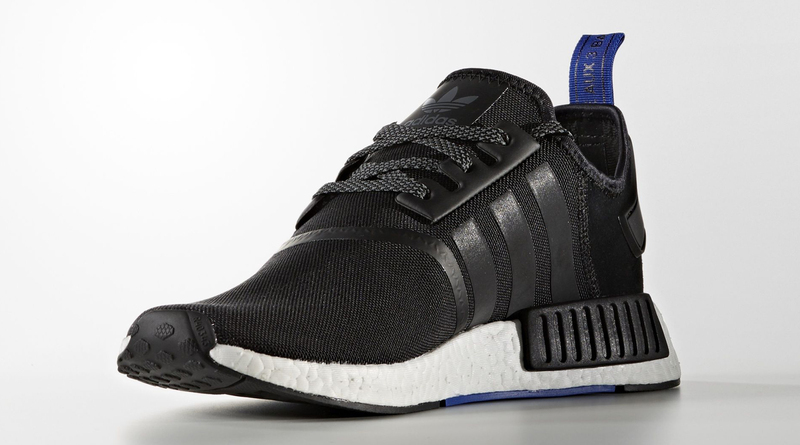 A new day, a new adidas NMD leak. 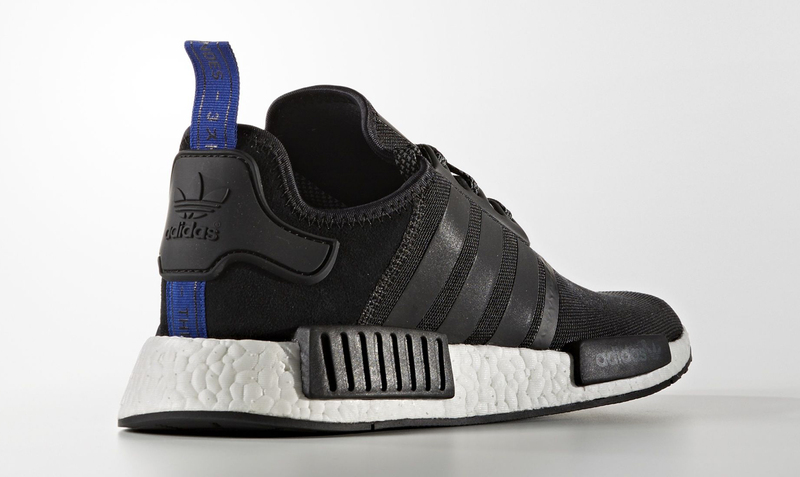 Yet another black colorway of the adidas NMD is launching this year. 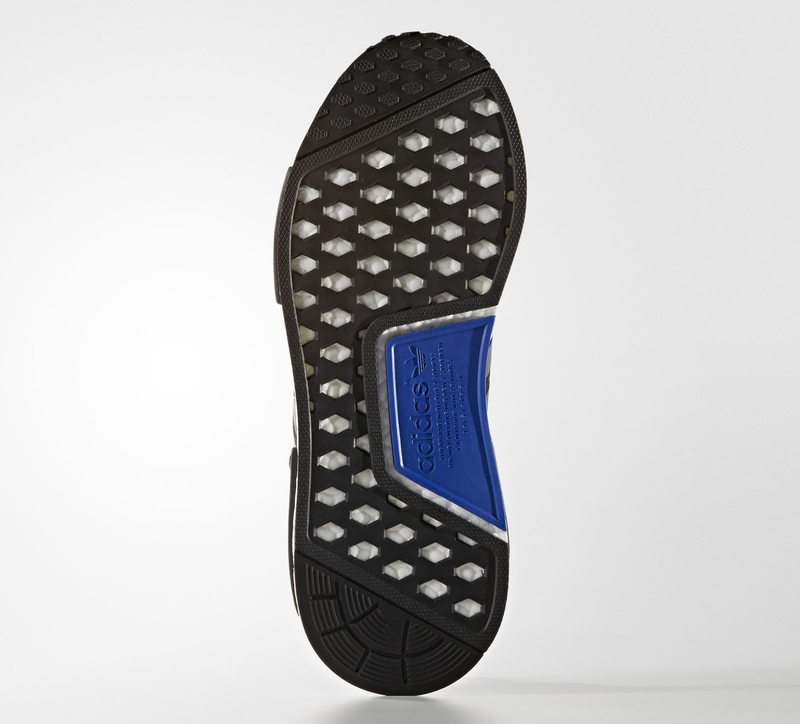 This time around, the shoe uses a black upper, blue accents, and suede on the rear panel–the last material choice slotting it in with this set of releases previewed earlier today. 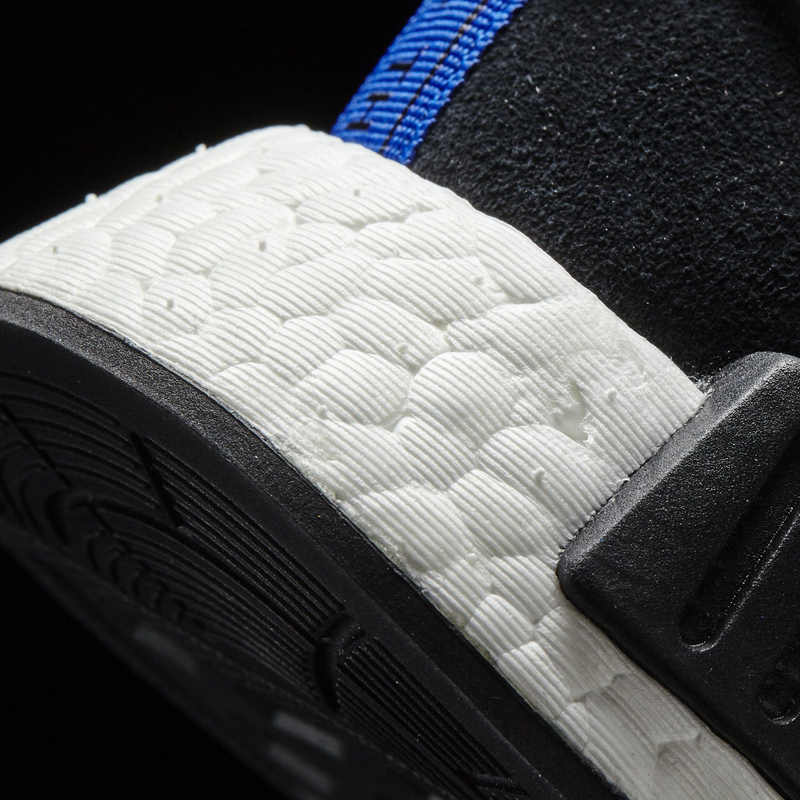 For now, it looks like the group of suede-backed NMDs will be in stores come October. 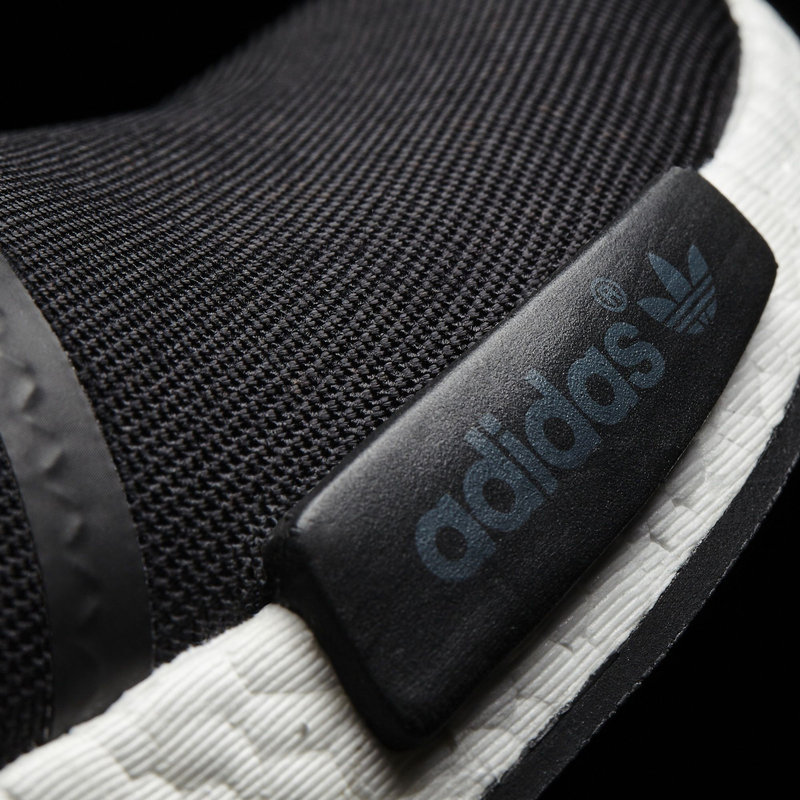 Adidas has been entirely willing to throw black colorways at this shoe since its debut, with past releases of this ilk including the reflective and "Pitch Black" ones. 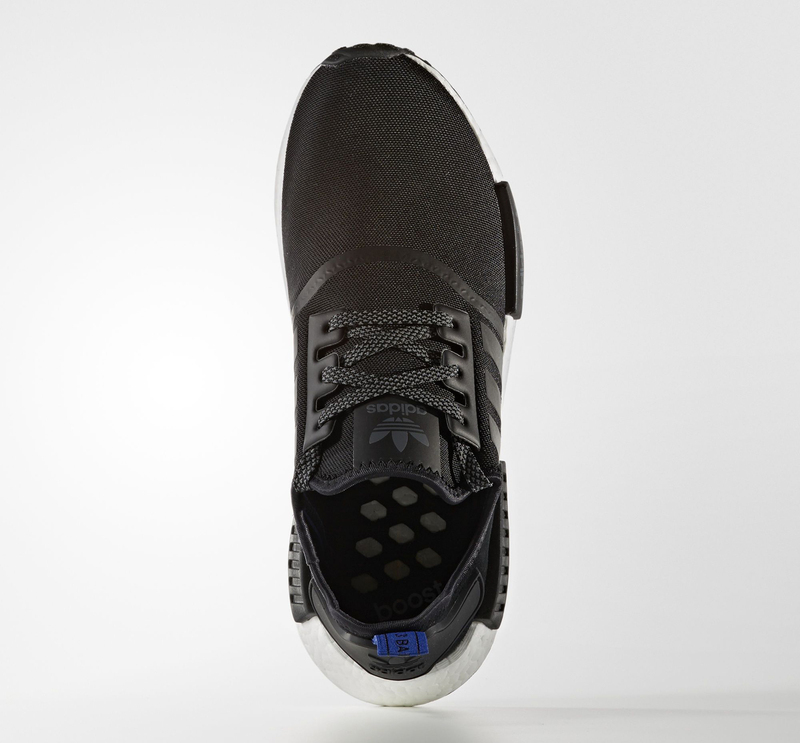 Still on the way is one of the most coveted, the "Triple Black" NMD that should hit sometime in September.